Manny caught a little fish. Yesterday, we worked at The Children's Museum. It was a good day. We set up crab traps and fishing rods. We taught the kids how to fish. We used new hook called sabikis. They are a special type of hook that has five hooks. We caught so much crabs, we helped the kids fishing. 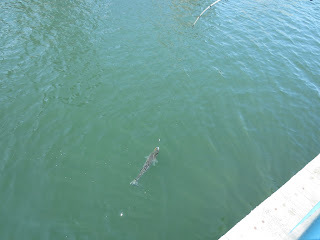 We saw big four striped bass. We tried to catch a striped bass. We used a hot dog for bait. We almost caught a striped bass. We caught a striped bass but we can't roll it up, it was very big. 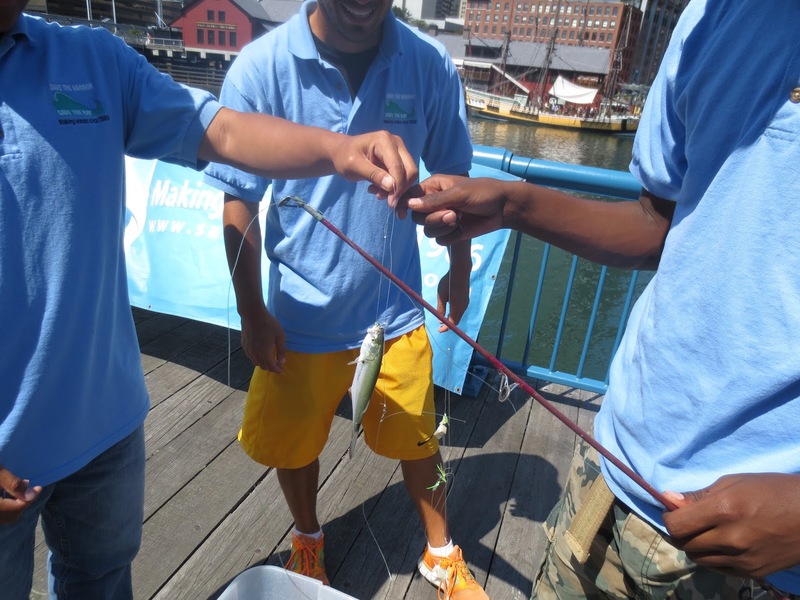 We cut fishing line to release that fish. A hook got stuck in that fish. We showed the children the crabs and told them about the crabs. We caught more crab. After that, we released all the crabs, we only caught a fish on that day.